Zdenko and his parents went to the Italian occupied part of Croatia, Susak. From there, they went to Ljubljana, Slovenia, which was annexed by the Italians in the Spring of 1942. While in Ljubljana, Zdenko and his parents went to the Qustore (local police) and applied for "Confino Libero" in Italy. (Confino Libero, or Free Confinement, was a system where Jews were sent to live in small towns in Italy but had certain restrictions placed upon them including limitations on travel, mandatory curfew and daily police check-ins.) While they were awaiting their transfer to Confino Libero, they lived amongst the Italians in Slovenia. 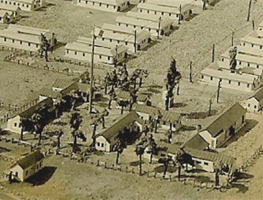 The transfer was approved three months later, and they were sent to Concordia sulla Secchia (Province of Modena) where they stayed until September 8,1943 when Italy was occupied by the Nazis. The family was warned by the Qustore (local police) that the Nazis were going to round them up and that they should leave immediately. The local priest in Concordia helped them. He had a connection in Florence who found them an apartment. In addition, the priest provided them with fake documents stating that they were from Benevento. 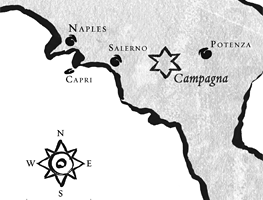 As Benevento was under Allied control, the Nazis could not ask for further information from town officials in Benevento. The family was helped by many people including: the portiere (concierge), the priest, local people and a Fascist doctor who helped Zdenko's mother when she contracted typhoid fever. The family was liberated in Florence in August of 1944, and they were transferred to the displaced persons’ camp in Rome, Cinecittà, where they stayed until 1947. Zdenko met Henry Winkler in Cinecittà. 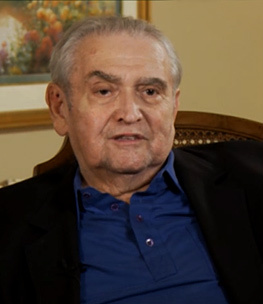 Zdenko came to the United States in 1949 with his parents. Zdenko Bergl married Evelyn Arzt, and they currently reside in Kansas City, Missouri. Their friendship with Henry (Heinz) Winkler lasted their entire lives.